How does a powerbank work? Power banks. You probably never saw one until a few years ago. They solve a problem that we never used to have, that’s why. Today it seems like a power bank is a must-have if you’re traveling. I know people who keep them in the car for emergencies. They fill an important need today: more power. Why have a power bank? Truth is, you know the answer to this question. We love our phones. We love being connected. Try to go a day without touching yours, I bet you can’t. We panic when we leave them at home, and we use them for everything from keeping in touch with friends to opening the doors to our homes. Some cars even use them as keys. Yet, phones have a problem. While it was pretty common to get a week on a full charge ten years ago, many people have trouble lasting a full day on their phones now. It’s become an obsessive routine: charge them all night, keep them on a charger at work, charge them in the car and charge them at home. We keep asking for more stuff from our phones and their batteries just can’t keep up. Of course phones lasted for a week on a charge in 2008 because all we did was talk on them. Today things are a little different. Unfortunately, even though today’s phone is nothing like the phones of the last decades, today’s batteries aren’t really all that different. There have been some small jumps in battery tech but they aren’t enough to keep up. Batteries today would have to be about 100 times more powerful to keep up with demand and they just aren’t. A power bank solves some of that problem. By keeping a larger, charged power bank with you, you know that you’ll be able to keep that phone running when you need to. It’s a little bit of a paradox, but we want these light and slim phones yet we’re willing to haul around a power bank that’s twice as big as the phone. Oh well, that’s life in the 21st century. A power bank would seem like some sort of miraculous thing but cut one open and you’ll find something awfully familiar. I found this image on the internet while I was looking for a power bank to cut open. Most power banks are some sort of variation on this. Cut one open and you’ll see a little bit of circuitry, and at least on AA rechargeable battery. And these aren’t some special batteries that just look like AAs, they’re really AAs. All of a sudden that super-cool amazing power banks are just, you know, batteries. That doesn’t make them less necessary, but it does make them maybe a little less cool. 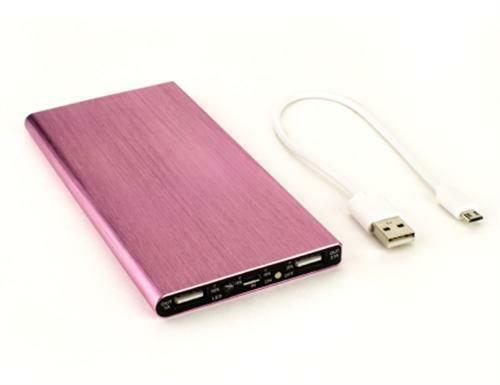 Even the “ultra-slim” fashionable power banks we sell don’t have anything incredibly special. The ultra-slimness comes from AAA batteries instead of AA ones. A typical decent rechargeable AA battery gives you about 2,000mAh. That means it can run a 1.5 watt device like a cell phone for about 2 hours. That’s enough to get up to 90% charge pretty easily. If you want fast charging, combine more than one battery so you can get more watts out. Even though the battery technology in a power bank is nowhere near as advanced as the technology in your phone, it doesn’t matter. We’re just fine with our power banks being heavy and clunky. That means power banks using off the shelf batteries, with their heavy metal outer cases, work really well. 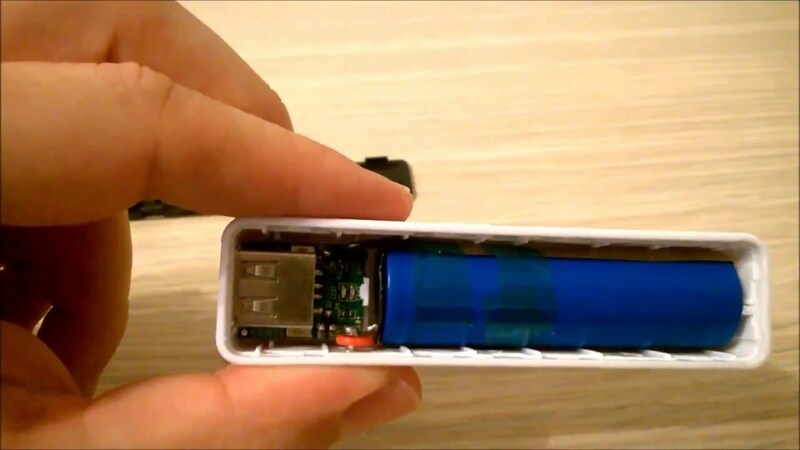 The only other thing you’ll find in your average power bank is a little tiny bit of circuitry that lets you charge it, lets it know when something’s plugged into it, and usually there’s some sort of indicator of how much that it’s charged. In today’s world that’s about a quarter’s worth of electronics, and it’s certainly not high tech. But again, why worry about super high technology? People aren’t ever going to pay $1,000 for a power bank. We want them to be reasonably priced, and off-the-shelf equipment makes that happen. Could you make your own power bank? Yes, I’m sure it would be pretty easy with a combination of parts you could buy online. You’d need a battery, a few connectors and a transformer and maybe another bit or two. I have to wonder why you would, because the parts would probably cost more than the equivalent power bank. Folks, you know you use power banks because you want to stay connected. That means if you only have one, maybe you need more than one. Why not pick up a second or third one… at Solid Signal of course!